When an autopsy reveals arsenic in the dead man’s stomach, “a few days” visit on Martha’s Vineyard to settle the affairs of his recently departed octogenarian Uncle Walt becomes a longer, more adventurous stay for Minnesota cartoonist Dave Jerome and his buddies, St. Paul Daily Dispatch reporter Warren “Mitch” Mitchell and photographer Alan Jeffrey. Because Uncle Walt was a former editor of the Daily Dispatch, Mitch and Al are ordered to stay on the Vineyard and report on the murder investigation. Dave stays with them in the “one for all and all for one” spirit of Alexandre Dumas’ Three Musketeers. 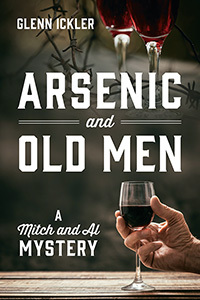 But when another senior citizen, who claims to be either Teddy Roosevelt or Teddy Kennedy, turns up dead of arsenic poisoning, the puzzled investigators begin to identify more with the Three Stooges than the Three Musketeers. Toss in a naked lawyer on a clothing-optional beach and a dazzling duo of identical twin sisters holding Uncle Walt’s financial investments, and the troubled trio is faced with many questions that seem to have no answers. 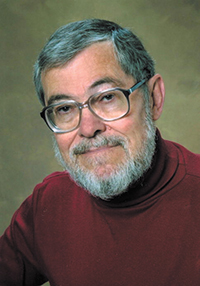 Glenn Ickler has had a long career in newspapers as a reporter, feature writer, theater critic, columnist and editor in Minnesota and Massachusetts. He was the leader of an editorial page staff that was nominated for a Pulitzer Prize and has won numerous awards for his writing. A native of Minnesota, he now resides in the tiny town of Hopedale, Massachusetts, somewhere west of Boston, and spends the summer months in a tiny cottage on Martha’s Vineyard.